Available to Children ages 6-10. Each session is three hours long. Cost is $175 per participant. rather than a riding course. 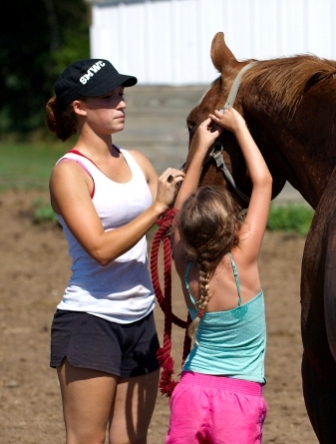 Participants will get to work with horses all three days. 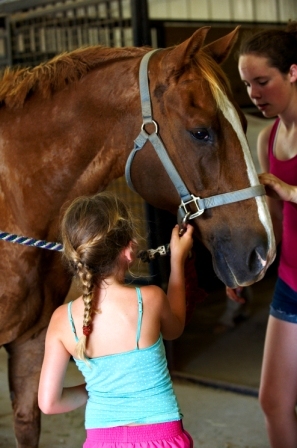 Beginner skills taught will include haltering, leading, grooming, saddling, bridling, hoof care, feeding, watering, and more. 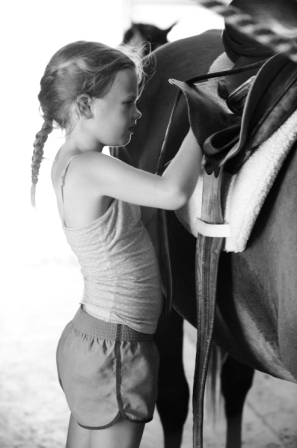 Intermediate skills taught can include braiding, leg wrapping, bathing, lunging, bits, and some riding. 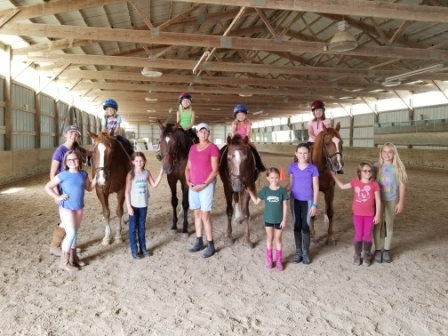 Persons interested in taking the "Intermediate Horse Days" must have taken the "Beginner Horse Days" or get approval by instructor before entering course. 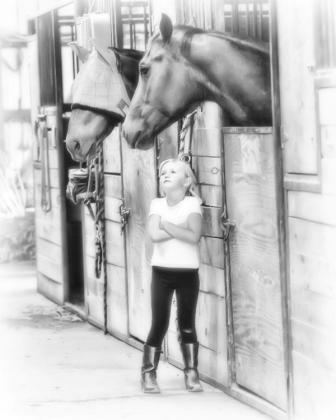 Contact us for this year's Horse Days Dates, usually in Mid July.